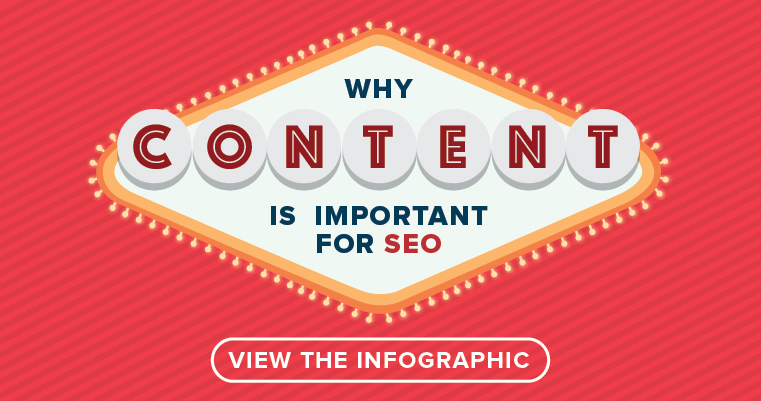 View our latest post and infographic: Why Content is Important for SEO: 2018 Edition! Content is king – and not just because it’s one of the most effective tactics for driving SEO results. We’ve known about the value of content for SEO for years, and marketers who want to stay ahead in this evolving landscape can’t expect to do the same things they did four years ago and be successful. Content diversity, cross-channel promotion and originality are new factors for SEO (and overall marketing) success. Brafton’s infographic, Why Content for SEO, helps you navigate the many road signs that point toward what Google and your human audiences deem ‘quality.’ More, it highlights how content demand and production strategies have evolved. You can click the image to see the full-sized infographic. For an in-depth look, check out our related blog post.